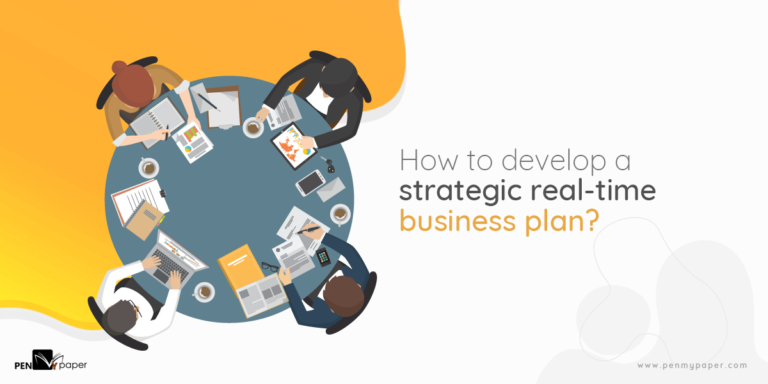 Does your case study demands a business plan to sign off? If so, you need to get it right otherwise, later that business may face excessive losses. A true-blue business plan requires inherent strategies to germinate and this article offers every nutrition for paving the path. Besides the approach of composition, know the other significant hands of your paper. Find the details as you proceed. Q: How lengthy should your plan be? Ans: Before authoring the document, you must acknowledge that a business plan isn’t an elaborate essay. The principle is “easy to read quickly” so, the document must have crisp content with no tinge of exaggerations. Develop a document with solid analysis and good projection. Q: Why does a firm need a business plan? Ans: Though you aren’t an entrepreneur, but you are working on behalf of the firm. Apprehend the fact that you will be held accountable for every stipulated proposal. The concerned organization will use the plan to enhance the profit margin so, wear the shoes of a professional business planner. Q: Which of the goals must be met? How will the company be benefitted out of this plan? What will happen if this strategy fails? Is there any backup idea? What will be its impact on the employees and staffs? When can an investor expect ROI? What are the estimated profits? Q: Have you outlined the economic needs? Ans: Assess the company’s financial needs before chopping out your business plan. An effective case study ensures you will acquire sufficient prior knowledge about the economic standards of the company. Your idea must overwhelm its financial condition and triggers it for a great future. With the end of pre-writing tasks, begins the new responsibility of composing the plan aptly. Executive summary: It is the first segment of your plan and therefore, starts with a company overview. Also, include mission statement of the firm, its exclusive growth plans, financial gen, and other employee information. Company description: This section is for boasting about the company’s strength. Mention some detailed information like – what sorts of problems does the business solve? To whom does the business cater? What are the competitive advantages? Market analysis: Here you have to insert data obtained from research. Describe new trends and themes, which you have discovered during the comprehensive industry analysis. Also, highlight the techniques adopted by competitors and how to perform better than them. Organization and management: Under this subsection, emphasize the legal structure of the company, whether it is an S or C corporation, LLC, partnership or the entrepreneur is the sole proprietor. Also, articulate the responsibilities and experiences of each employee. Service or product line: Speak about the products and services, offered by the firm, and how those benefit the customers. Go a little deeper to share your strategy for intellectual properties, of the organization, like patent filings or copyright. Marketing and sales: It is the trickiest of all parts as your objective is to script the finest ways of attracting and retaining clientele. Give a comprehensive overview of the marketing strategies, as you may need to refer to this section while writing the economic projections. Funding request: This part can be a little broader than the rest, as here, you have to outline the subsidy requirements. Every detail must be portrayed clearly; whether the fund will be a debt or equity, the deadline for reimbursing or amortization, the utility of the amount, etc. Financial projections: Supplement the funding requests with a prospective financial outlook, using charts, graphs, tables, and other illustrations. Include both the past and future economic projects through income statements, cash flow diagrams, balance sheets, etc. Appendix: This is the last section of the business plan. Though optional, it is wise to craft and appendix. Common items, here, are product images, resumes, credit history, legal docs, permits, license, authorized letters, or anything similar to these. Key partnerships: Start with mentioning the name of organizations, suitable for collaboration. Think of manufacturers, suppliers, investors, strategic partners, etc. that will stand by side for longer period or lifetime. Key activities: Make a list of the competitive advantages that will trigger the business’ success. Put light onto concepts like using new-fangled technologies for finance handling, direct purchase relation with the consumers, etc. Key resources: Identify and stipulate the resources, which will leverage to add value for your clients. Most significant assets are company staffs, intellectual properties, capital investment, and others similar to these. Value proposition: A crucial segment this is, where you need to articulate the values, your company going to bring in the industry. Take help of precisely compelling statements to highlight the unique cornerstones. Customer relationships: Perform widespread market analysis and make authentic assumptions about the customer-seller relationship. Clarify whether it will be personal or automated, and draw a forecasted customer experience graph. Customer segments: The business, for which you are composing a plan, not necessarily tones with everyone’s need. So, specify the target market in this section and clearly state the names, to whom the company will serve. Channels: For every business, there remains some specific mediums and channels of communication. Most companies prefer a mix of means and tend to optimize the connection over time. List the course, you think suitable for the startup. Cost structure: Some organizations like to reduce the overall cost, whereas, others prefer to maximize it in the course of time. Recognize the one you are dealing with, and then, define each of the different rate structures, under persuasion. Revenue streams: Your business plan must end in a good note, and to do that, explain the ways in which the company can make sufficient money. If the firm has multiple revenue streams, list each of them, and, prescribe more if you think required. Do you need more assistance? Not a big deal! Case study assignments come with shorter deadlines and most students search for help with assignment writing. If you are one of them, get in touch with PenMyPaper, for ultimate solutions.